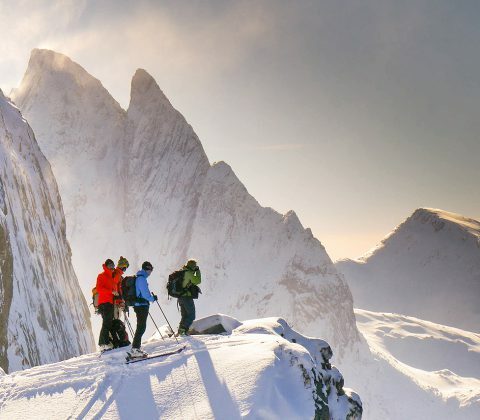 Our day touring holidays target a wide range of amazing venues – including classic ski touring regions in the Alps (France, Italy, Switzerland, Austria) and remoter venues in Arctic Norway and Iceland. 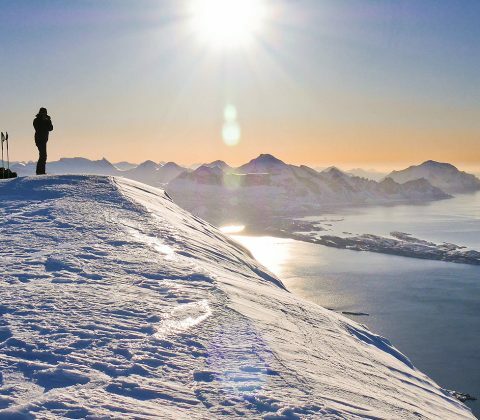 On one of these carefully planned trips you can enjoy comfortable valley based accommodation, a good variety of terrain and a flexible itinerary, all whilst skiing with a lighter backpack. 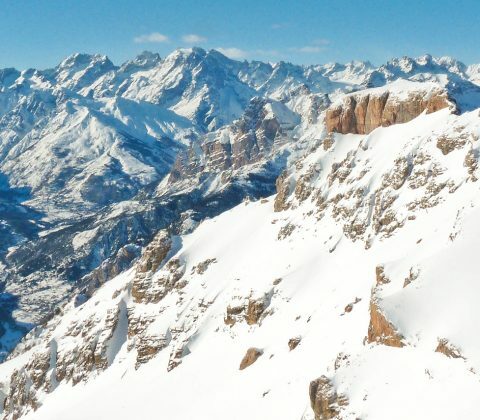 This allows us to choose the best tour each day for the current snow and conditions, resulting in a fun and productive weeks skiing without the commitment of a full hut to hut tour. 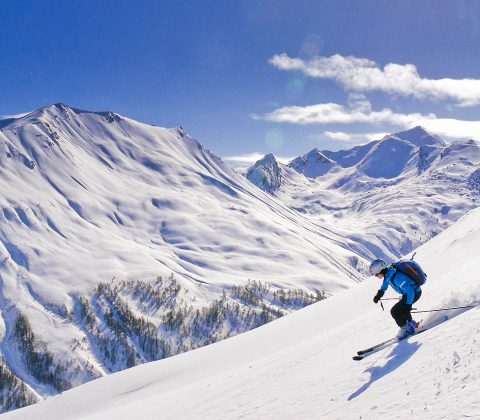 For multiday ski tours, check out our hut to hut touring program. 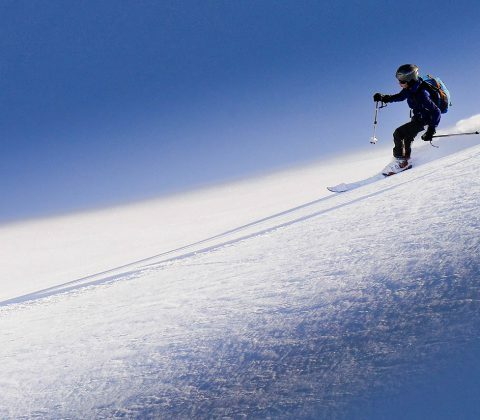 For advice on selecting a trip, please visit our Choosing a Ski Touring Holiday page. Or visit our Program and Availability page for an overview of our ski season, including trip dates and availability. 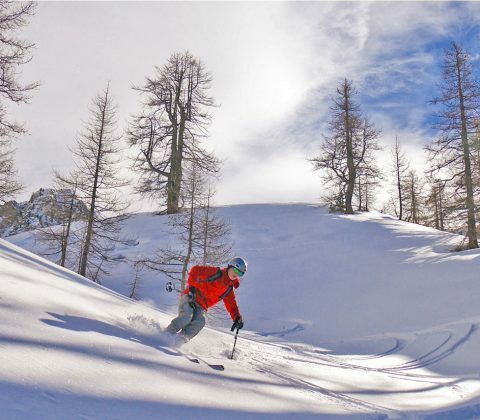 Our Family Ski Touring Course is great for families with fit and active children who would like to escape the pistes and experience the magic of ski touring. 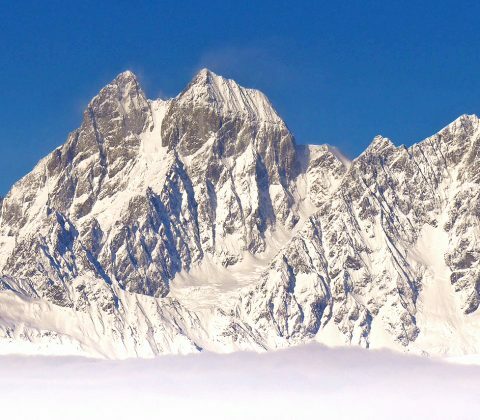 3 days of skills training days based in Chamonix, followed by a mini hut tour with stunning views of the Mont Blanc massif. 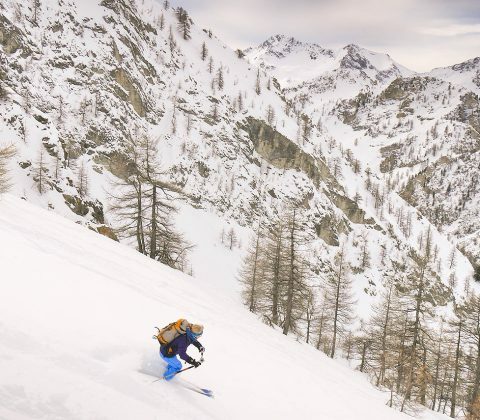 Early season ski touring and backcountry skiing in the Caucasus mountains of Georgia. 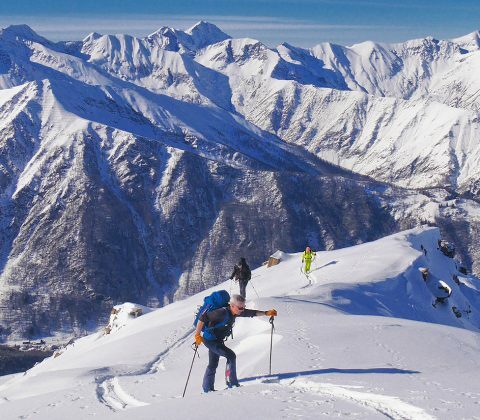 Based in the fascinating Svaneti region of the High Caucasus, the area has only recently opened up to skiers, so it's still very quiet, but abounds with great ski terrain and historic Svan Tower villages.